Cursive handwriting is something I learned in the third grade. 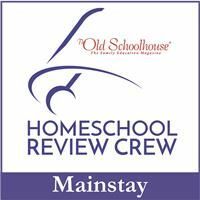 As a parent who didn’t really know anything about homeschooling or what it should look like, I assumed that that was when kids were mentally and physically able to handle the task of writing in cursive. 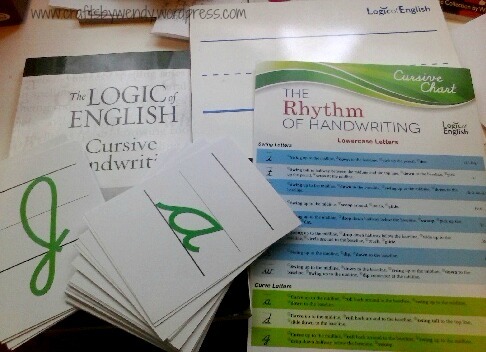 So color me surprised when I was assigned the Rhythm of Handwriting Cursive – Complete Set by Logic of English to review. The folks over there recommend teaching kids cursive before teaching them manuscript. There are several reasons for this, most of which are based around the idea that “it’s just easier.” (For example, all the lowercase letters begin at the same place and spacing within and between words is more easily controlled.) The one that stuck with me the most, though – and the one that made me wish we’d had this program for Seahawk two years ago – was that when writing in cursive, it’s hard to mix up the B and the D. Think about it: what does a cursive lowercase B look like? Nothing like a lowercase D, unlike their manuscript counterparts. But Seahawk did learn cursive as a third-grader, and he (rarely) mixes up his Bs and Ds anymore. So we used this program with Munchkin, who has been desperately begging me to teach him cursive for about a year. He was positively thrilled when the package arrived, and even now that it’s been several weeks, still loves his cursive handwriting lessons. 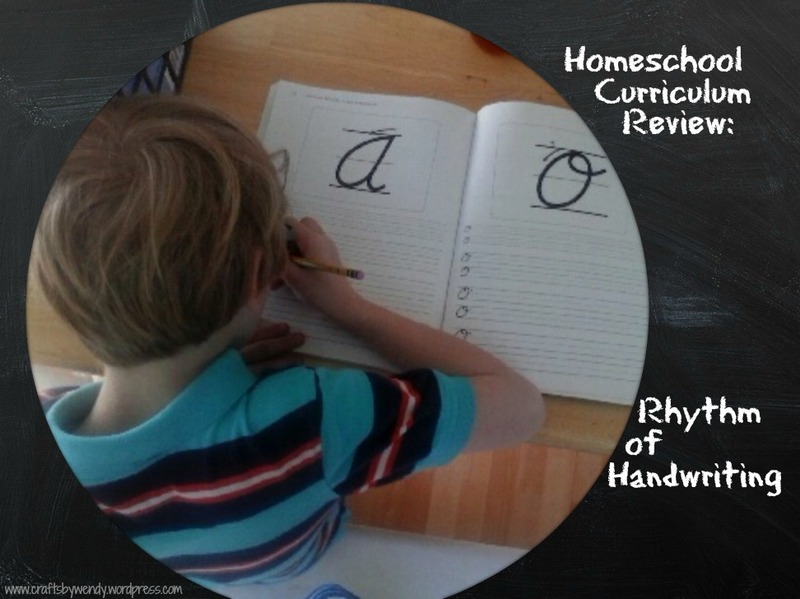 The complete set includes everything you need to get started teaching your child (recommended age for Rhythm of Handwriting is 4 to adult) cursive handwriting. You get a softcover workbook ($15), a white board for practicing ($12), cursive tactile cards which are like flash cards, but the letters on the front are a sandpaper-like texture for the child to feel how the letter goes ($28), and a cursive handwriting chart which details each letter along with the steps for forming that letter ($10). You can purchase the items separately at the prices listed above or as a complete set for $65. The only things you need to provide are a dry erase marker, a pencil, and a student. Inside the workbook are several suggested schedules for teaching the letters. It all depends on the age and enthusiasm of your student. Because Munchkin is a solid reader and writer, we moved pretty quickly through the workbook; he learned 4 new letters a day on the “learning” days and moved even faster through on the “review/word” days. We started the program using it exactly as prescribed. This involved going over the letter names and sounds on the flash cards, having him trace the texture of the letter on the card with his finger, having me describe exactly how to form the letters to him, and then finally having him write the letters in the workbook. He quickly grew tired of this. He’s the strongest reader of the two boys, so he already knew the letter sounds; that made that portion of the lesson unnecessary. The workbook includes large versions of the letters that he traced with his finger when he felt it was necessary to “figure it out,” so we didn’t end up using the cards all that often – the book alone was enough. The same was true for the white board. He was competent enough to just dive right into the workbook, using a pencil. 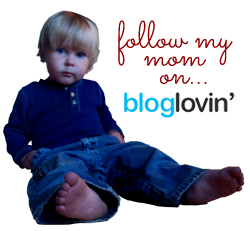 I’m not saying this to diminish the necessity/quality of those products – they’re fabulous. They just weren’t necessary in our situation. For a younger child, or one who isn’t a super strong reader/writer, they would be invaluable assets. I think this program was great. It was easy to teach, and I felt like it was easy for Munchkin to learn the letters. And he’s so excited to be able to read and write in cursive now. I really like it. My favorite part was learning the capital letters because they’re more complicated. I liked the challenge. Learning to combine letters into words was exciting too. It’s awesome because you can clearly read cursive when you learn to write it.